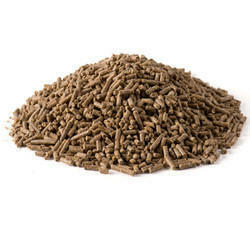 Avail from us a complete range of Animal feed at market leading rates. 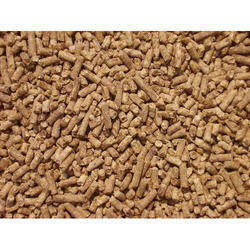 The range we offer includes Animal Starter Feed, Animal Grower Feed, Animal Breeder Feed and Animal Maintenance Feed. Besides, we offer Lactating Animal Feed, Gestating Animal Feed and Animal Fodder. These are processed using quality ingredients at our advanced production unit. As per the demands of our clients, we offer our product in bulk quantity and deliver the orders on time. We are among the select few providers of Kangaroo Feed which is offered at highly competitive prices in different packaging. This feed is globally demanded for its optimum quality. Several zoo, wild life sanctuaries and other such establishments that protect Kangaroo demand it from us on regular basis. The consumption varies between 1% and 2% of Kangaroo’s body weight. Our clients can avail this range within the committed time frame. We offer Bison Feed to our clients that is known for its effective results and optimum quality. This range is formulated from ingredients that are rich source of protein, fat, fibre and other essential nutrients. We procure best quality Cereal, Grains, Pulses, Soy Meal and other related ingredients and process them hygienically to get the most comprehensive Livestock Feed as the end product. 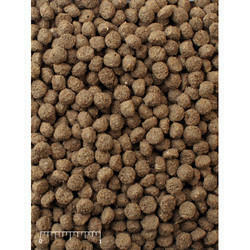 It comes in coarse form in marvelous packaging and is sold under the name of Anupam Bison Feeds. We are one of the prominent manufacturers, suppliers and exporters of quality approved range of Bear Feed. These are processed at our advanced production unit using ingredients like meat bone meal, fish meal, soy meal, essential amino acids, vitamins, minerals with micotoxin, aflatoxin and mold binders. These feeds increase the energy level of the animals making them healthy. To maintain the shelf life of the products, we pack them using LDP bags. Our organization is amongst the leading manufacturer, supplier, distributor, exporter and wholesaler of best quality array of Boer Goat Feeds. These boer goat feeds are especially formulated for boer goats which are raised for their excellent meat. Due to the fast growth rate, these boer goats are very reliable and highly nutritious feeds to sustain the requirements of these popular goat breed. Our goer goat feeds are quality tested under several parameters to ensure excellent functionality and efficiency in providing excellent nutrition for the goats. Available with us is an extensive range of Deer Feed, which is enriched with protein, crude fat and fiber, mineral and other vital nutrients. Hygienically processed, the feed is 100% pure, effective and have longer shelf life. 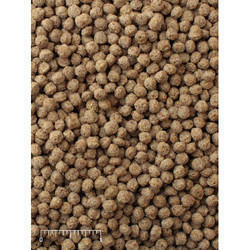 The feed acts a energy booster for deer, making them active and healthy. Our range is available in quality packaging material at industry leading rates. Our organization holds expertise in manufacturing, supplying and exporting Alpaca Feed. Hygienically processed, this fed is widely recommended as supplement from 2 months between 9 to 12 months of age of the animal. Quality ingredients like cereal, grains, pulses, soy meal, essential amino acids, vitamins, minerals with micotoxin, aflatoxin and mold binders are used in the production process by our professionals. We make use of low density polyethylene bags of 75 micron and outer packing packaging poly propylene (milky white) to pack the products safely. A-0315 is fed at .33 to .50 lbs per 50 lbs. of body weight.